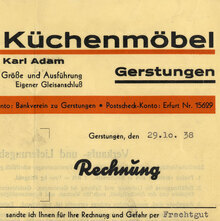 Designed by Arthur Schulze and first cast in 1928. [Klingspor-Museum] Bigger sizes also made in wood. [Seemann] Also referred to as Schrägschrift Mammut . 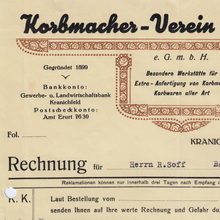 In 1932, a vaguely related condensed weight was added as Werbeschrift Mammut schmalfett . 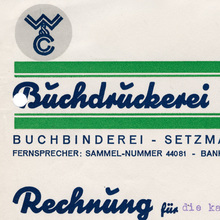 Appears in Solotype’s Bold Script Alphabets (1989) as Strudel .